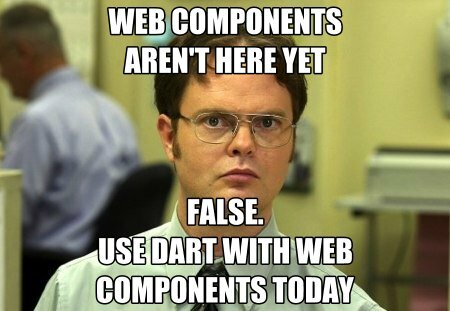 Dart web components provide templates, data binding, and encapsulation, to help you write web applications at scale. An early version is available in the dart-web-components project. Dart web components combine the ideas of web components and MDV, adapting them to work well with Dart. Dart web components take advantage of advanced browser features when possible, emulating missing features when necessary. There's more work to be done, with support for Web Components in Dart just getting started. Now is a good time to try out the project and talk to us in the Dart mailing list or ask questions on Stack Overflow.